The second output is live only when AC is available on one of the inputs of the Quattro. 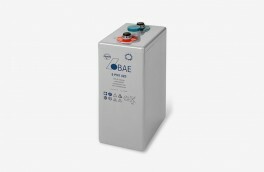 Loads that should not discharge the battery, like a water heater for example can be connected to this output. 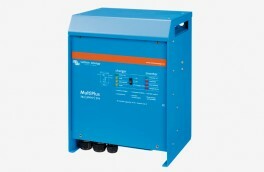 Up to 6 Quattro units can operate in parallel. 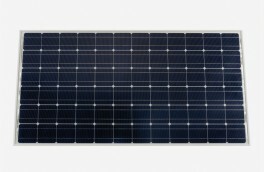 Six units 48/10000/140, for example, will provide 54 kW / 60 kVA output power and 840 Amps charging capacity. 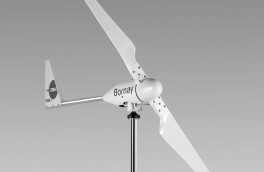 Three units can be configured for three phase output. 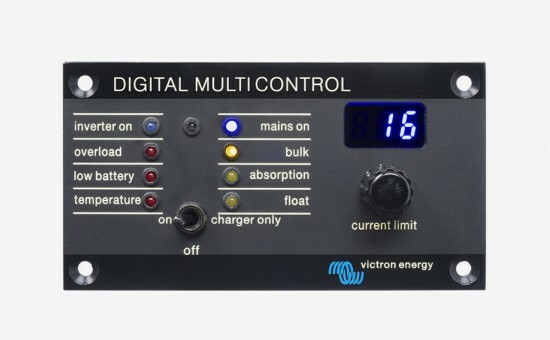 But that’s not all: up to 6 sets of three units can be parallel connected to provide 162 kW / 180 kVA inverter power and more than 2500 A charging capacity. 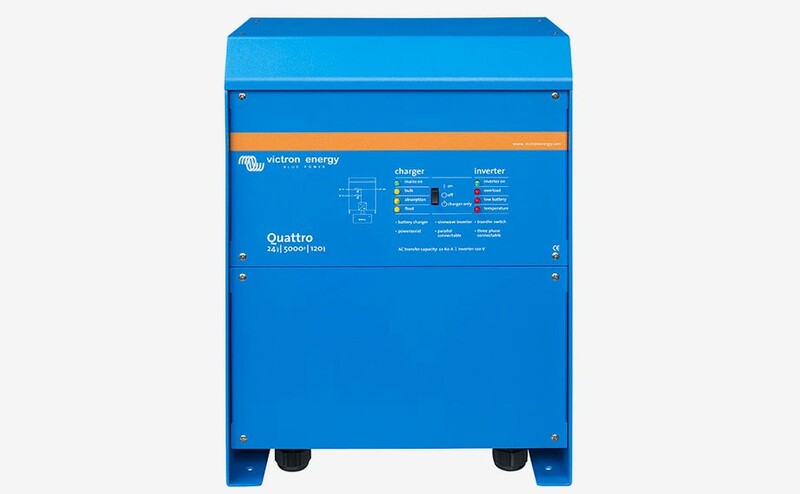 The Quattro is a very powerful battery charger. 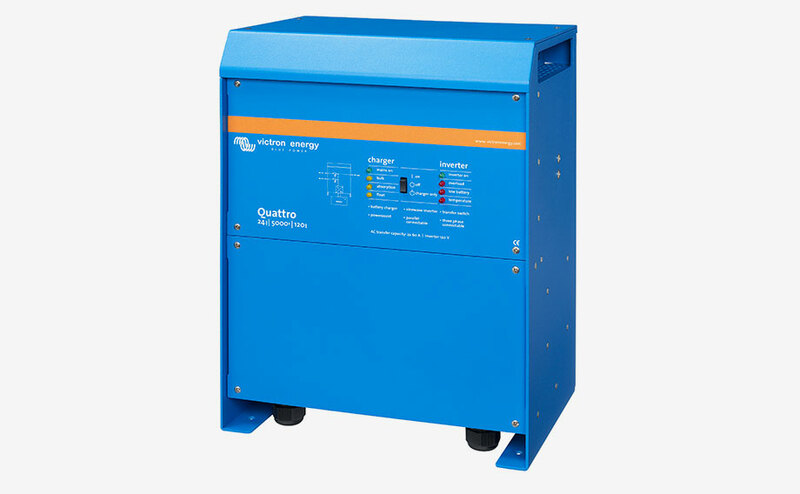 It will therefore draw a lot of current from the generator or shoreside supply (16 A per 5 kVA Quattro at 230 VAC). A current limit can be set on each AC input. 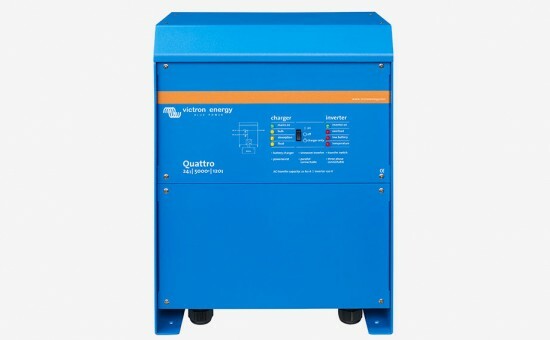 The Quattro will then take account of other AC loads and use whatever is spare for charging, thus preventing the generator or mains supply from being overloaded. 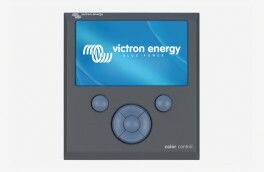 Victron Ethernet Remote, Victron Global Remote and the Color Control Panel. Device mounting Wall mount (backplate included).